The Virginia Insurance Counseling and Assistance Program (VICAP) is part of a national network of programs that offers FREE, unbiased, confidential counseling and assistance for people with Medicare. 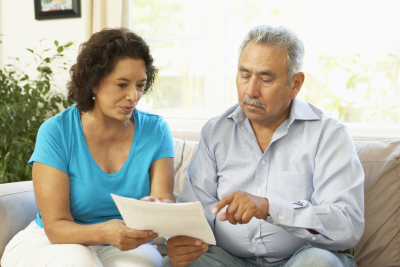 Counselors can also help with health care appeals, denials and identifying those eligible for low-income subsidies. VICAP counselors are not licensed to sell insurance. Counselors are trained and certified to help you understand and compare benefits, assist with filing for benefits based on income and resources, and inform you of your rights. VICAP counselors can help all Medicare beneficiaries, including those with disabilities and younger than 65, explore options that best meet their needs. Counselors will help you compare the quality of care and services given by health and prescription drug plans available in your area. 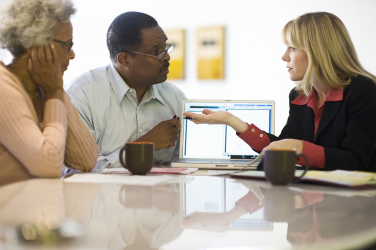 VICAP counselors can help you file for medical benefits, low-income subsidies, health care appeals and grievances. Working with you, counselors are able to help you resolve health care issues and assist you in understanding complex medical bills. Working collaboratively with the Senior Medicare Patrol, VICAP counselors will help educate and empower beneficiaries to take an active role in detecting and preventing health care fraud and abuse. Virginia Senior Medicare Patrol (Virginia SMP) educates Medicare beneficiaries, their families, and caregivers to prevent, detect, and report healthcare fraud, errors, and abuse. Using a team of trained volunteers, Virginia SMP provides outreach, counseling and education. Call 1-800-938-8885 to report suspected Medicare fraud or to receive fraud prevention materials. Your local VICAP Program can provide you with FREE, unbiased, confidential and personal assistance. You will speak to a trained counselor who will walk you through the steps to maximize your benefits. 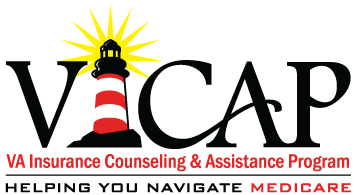 To get in touch with a VICAP counselor in your area, contact your local Area Agency on Aging (AAA) or contact us. View a map of Virginia to locate the Area Agency on Aging (AAA) that serves your community. The COMPASS team is a volunteer program that helps VICAP educate, counsel and assist Virginia's Medicare beneficiaries. Your experience can have a meaningful impact on your community. To learn more about this opportunity and become a part of the team, call 1-800 552-3402. Are your resources (for 2018) at or below $14,100 for a single person or $28,150 for a married couple? Resources don’t include your home, car, household items, burial plot or life insurance policies. The Annual Wellness Visit is free to Medicare beneficiaries beginning 12 months after you receive your “Welcome to Medicare” physical exam.